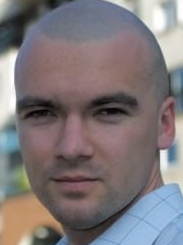 Ciprian Turcu: My Five Favorite NetBeans IDE Features! Continuing a series of articles focusing on NetBeans users and their five favorite NetBeans IDE features, here's the next part, by Ciprian Turcu Eisele. -- NetBeans team. He is self employed and does this 100% for a living and from home. He discovered NetBeans IDE some time ago and he says that he instantly knew "it was magical" from the moment he started using it: "It has features that I couldn't find anywhere else, features that I have become accustomed to and were hard not having when trying out other IDE's." This is a very well made and incredibly useful feature. It's like my very own backup system, only that it's included in the IDE and it's very well done. 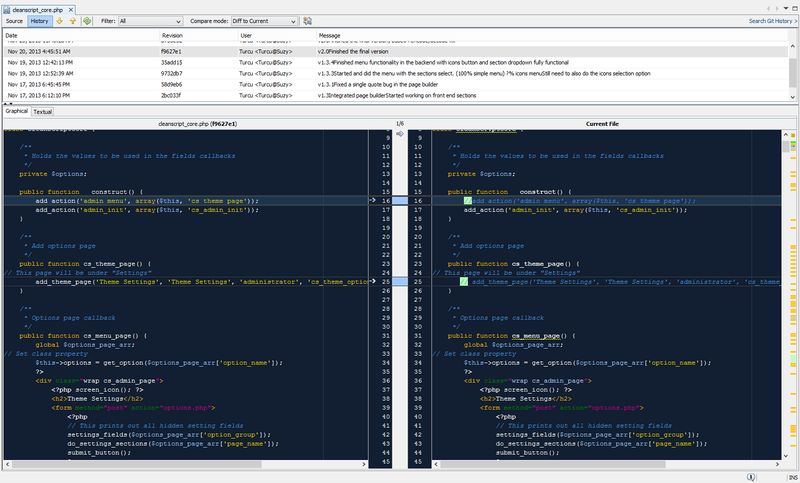 I find myself wondering where some errors emerged sometimes and when I have a side by side comparison like the one NetBeans IDE offers, It just simplifies my work a lot. Code formatting. I like to keep things clean and organized and the fact that NetBeans IDE formats JS, CSS, LESS, PHP, HTML, HTML5 and is CSS3 compatible, and it does this no matter what the main file type is, i.e., if I have some JS in an HTML file, or some HTML in a PHP file, it just knows, and makes everything look great, like magic. This is a very important feature to me, and the combination of ways it can be used, regardless of what the main file type is, is one that I have never found in any other IDE out there. I love the fact that NetBeans IDE identifies variables, functions, classes, tags, etc, again, in any type of file I am editing, and it helps me identify each section of the code I am working on. The fact that it has integrated the highlight of the start and end of any function/class/tag you are currently on, the fact that it shows in the top left the beginning of a function, for example, if the code is not visible on the screen as it's way up, all of this is extremely useful to me. 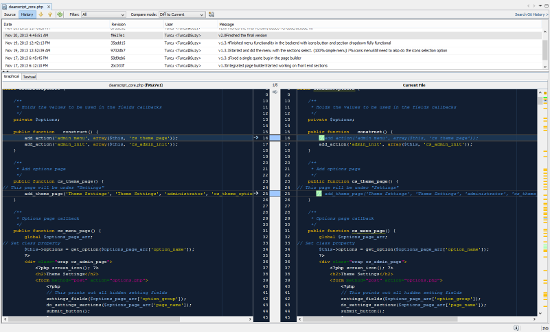 It's safe to say that I became accustomed to the structure and colors in NetBeans IDE (and the theme I am using), and if/when I try to read code in any other editor, I see a huge difference each time. The fact that it shows warnings on each line, highlights errors, and even suggests fixes, is amazing. The fact that it returns to me all the occurrences in an entire project and that I can just click on an item and I am there in the file, to the exact line where that is, and all this is done from a pop-up window that I have at the bottom, that's just a dream. Autocomplete. Together with the Zen Coding plugin (http://plugins.netbeans.org/plugin/41792/zen-coding), which I use to simplify my coding and make it faster, the fact that I can just write "div.class" and then hit a shortcut key (I use tab) and it generates the code for me like "<div class="class"></div>" and it places the cursor inside the "div", that's just an awesome touch I just can't see how I can work without anymore. 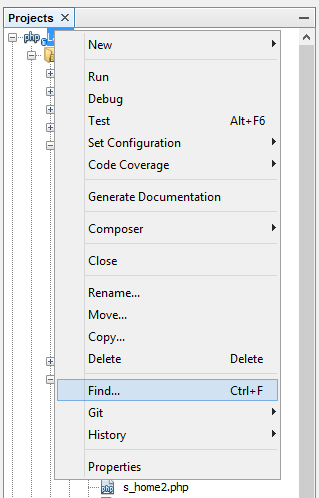 Autocomplete, even though a popular feature in many IDE's, I've found to be a little more interesting in NetBeans IDE. I love the multiple-language compatibility in one file. So, I have autocomplete if I code JS in an HTML file or a PHP file, or HTML and CSS in a PHP file. You name it. This is a feature that has been around for a while in NetBeans IDE and I've come to appreciate it highly. Also, the fact that the autocomplete inherits instantly all the functions or even HTML classes, tags, functions etc., from the current project, and that they are made available to me again, no matter the file type, is just great in making my work so much easier. I do have one more feature I have to mention. It's actually a bunch of related features but I'm going to mention it as a whole. The new NetBeans IDE 7.4 compatibility with HTML5, CSS3, and LESS is just a highly necessary feature. 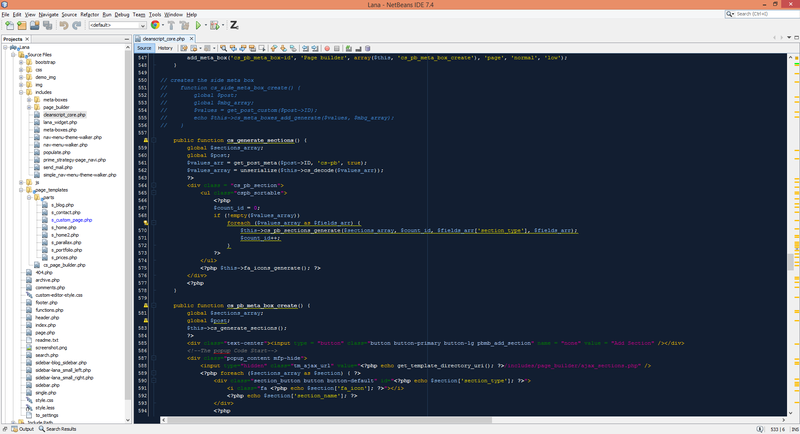 I'm using NetBeans IDE to code in LESS and compile LESS, via NetBeans IDE, whenever the LESS file is saved. The fact that it color-codes, formats and displays warnings, errors, and even suggestions on how to fix them in all CSS3, HTML5 and LESS is something I didn't even dream about, but when I saw what NetBeans IDE 7.4 can do, I didn't even consider looking at anything else. It's just a wonderful "all in one" package. I can't think of a feature I lack in NetBeans IDE, honestly, to me, it just has everything. Sorry for adding a 6th feature. :-) I just had to mention that one because it's important to me. Compiling LESS on save, having code formatting/highlighting/autocompletion compatibility with HTML5 and CSS3 is simply a "must have" to me!